Royak la retek bui ko Ambo. bimbe la takut Pak Nik tok sobar. sikap tolong menolong kita amal lagi. hantar LPN muat ngan loni. hok takdoh permit kelik la sajo. ‘Excuse me,’ said an ocean fish. ‘Oh, this? But this is water. swam away to search elsewhere..
taken from: The Song of The Bird.. Mother: Let’s go to a shop. Son 1: Woha (full with excitement), But where to? Mother: Barber shop, to cut your long hair. Mother: Take any book as many as you want. I’ll pay them for you.. Son 2: Yes2 (full with excitement).. How many books can I take? Mother: You can take even 10 books if you like. It is not a sin to buy books.. Son 2: Yes2 (getting more excited).. Mother: But you’ll commit sins if you don’t read them..
Be careful with what your mom says to you because they always think ahead of us. Ps: I am now having my quality time with the family.. huhuhu.. Can’t upload any pic because the internet speed is a pain in the neck.. Laying out plans. winter break 08. So ended my semester badly. I mean so freaking bad. this semester is fast and horrible. Combination yg harus dielakkan. haha. 3 more semesters left in sya Allah and lately my mind is only thinking of graduating. May 14th 2010 biizniLlah, three days after my 21st bday! Dah boleh rent kereta if my family wanna come and see the States. California amacam? Ok so here come winter break. As usual there’s no better plan other than muktamar (hehe seriously saje je nih nad syikin oya watep). Most of seniors have graduated so I will meet many new faces kali neh. and program agak menarik because there will be 3 representatives from 3 political parties in Malaysia – UMNO, PAS and PKR. Timbalan Menteri Pengajian Tinggi will also join the opening ceremony. We’ll see how everything goes. Tak sabar. After coming back from Texas on Jan 1 in sya Allah, we plan to go to Memphis for Al-Maghrib class. Wah honestly, excited sgt for this class. Hopefully everything will be okay. Memphis jom rakan2 yg ada kat Vandy? Yaser Qadhi ni..
Other than that, I want to finish at least a book from my unread booksss. and greys anatomy pon! alamak takde masa da! ok last, can anyone please tell me what is a reasonable question for a 9-10 years old Muslim kid? I need to do a Jeopardy game for them. Clueless! Selamat Hari Lahir, org paling cool dlm family. kot. Thanks for everything you have done in my whole life. Lots of laughs..tears..joys.. i mean everything. Lawak2 yg membelit usus, tangisan yg berunsur keinsafan, cerita2 yg mewarnai hidup, nasihat2 yg dasyat, tp anda tetap hutang satu jersey ngn saya. BILA NAK BELI?? Terima kasih atas semua ucapan dan kasih sayang dari anda semua. Hanya Allah S.W.T yang dapat membalas jasa dan budi baik anda semua. Sama-samalah kita mendoakan semuga ia dapat menempuh segala rintangan dalam kehidupan dan diberi kejayaan yang cemerlang dunia dan akhirat juga mendapat jodoh yang beriman yang dapat memberikan ketenangan dan kebahagiaan kepadanya dan seluruh keluarga. But his appearance at a news conference here was interrupted by an Iraqi journalist who shouted in Arabic — “This is a gift from the Iraqis; this is the farewell kiss, you dog” — and threw one of his shoes at the president, who ducked and narrowly avoided being struck. As chaos ensued, he threw his other shoe, shouting, “This is from the widows, the orphans and those who were killed in Iraq.” The second shoe also narrowly missed Mr. Bush as Prime Minister Nuri Kamal al Maliki stuck out a hand in front of the president’s face to help shield him. more here. Kasut tak cukop oh, kita bom je org cam dia ni. but still bravo bro! Let me put it this way, this 98, 000 capacity Stadium will be full tomorrow. The rest stuff, you go figure. Have you seen Barca lately? Statistics don’t always tell the whole story, but on this occasion they speak for themselves: unbeaten in the league since the opening day of the season, Pep Guardiola’s Barcelona have conceded just nine goals in 14 games, while the free-scoring attack has netted 44 goals already. And they are playing well when it really matters. Their recent run of games was supposed to be a test of their credentials: a trip to Sevilla? No problem, 3-0 and adios; a visit from Valencia, a side who had conceded just three league goals away from home all season? 4-0 and thank you very much. Even Thierry Henry, a player who is supposed to be having a miserable time, is gatecrashing the party and going home with a hat-trick. They are a joy to watch at the moment, and they will be looking for revenge after being made to form a guard of honour at the Bernabeu last season. Another cliché, I know, but as Joan Laporta warned me in an interview with him this week: this is still Real Madrid and they are hurting at the moment. The Madrid players may have stopped playing for Schuster, but under a new coach and with their pride at stake, they will be fighting for their lives. The whole world will be watching this one and, whoever takes to the field on the night, there will still be 11 very, very good players wearing white – each one of them capable of hurting the opposition. We’ve been saying it for weeks: on current form, Messi is the best player in the world and the stage is set for a big performance from the little Argentinian wizard. He has been absolutely devastating in recent weeks and if there is any lingering doubt as to just how good he is, the true test of a player is how he performs in the really big games. When it has really mattered in recent weeks, Messi has delivered. Of his nine league goals, you will struggle to see two better than his brace in the vital match against Sevilla a fortnight ago. He is unfazed by the occasion – and there is none bigger than FC Barcelona versus Real Madrid. And if watching Messi wasn’t worth the price of admission alone, there are plenty of other fascinating sub-plots to keep us hooked:the passing of Xavi; the pace, power and finishing of Eto’o; the burgeoning talent of Alves, the best right back in the game; the development and progression of Higuain; an opportunity for Casillas to regain his form and silence his doubters; and, of course, Ramos’ La Liga debut. I’ve chatted with both presidents this week and both men are respectful of each other. It hasn’t always been that way and, more often than not, former presidents of Barcelona and Real have refused even to acknowledge each other, let alone speak. Laporta and Calderon have even been counselling each other over the last couple of seasons as each one of them has gone through their respective highs and lows – yet somehow that makes the relationship all the more intriguing for those of us looking on. On Saturday they’ll be sat side-by-side in the directors’ box – something that many previous presidents have refused to do – and the world gets to look on as they try to mask their emotions while all the time trying to act respectfully to the other. Who has the best poker face on the night? What else is there left to say? This is Barca-Real after all. 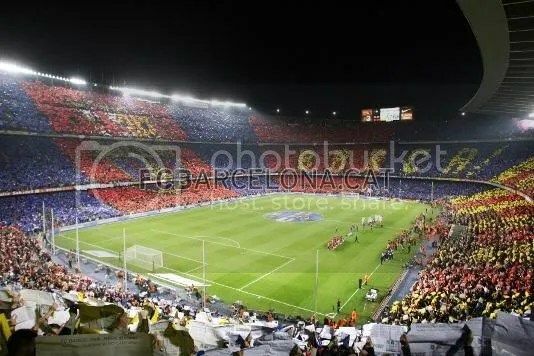 As Laporta said in our interview this week, there is no other sporting spectacle like it in the world. More clichés? Why not. This is more than a game. This is the ultimate grudge match. This is history. A clash of the Titans. For everyone in Spain it represents a variety of conflicting symbols: two nations; two great sporting institutions; two worldviews; two philosophies or even just two football teams. Wherever you come from, it means something different, but wherever you are, it matters. More than words. 11 December 1980 – now. The King and Queen of our heart! Hari ni genaplah 28 tahun abah dan maa hidup bersama. 28 years isn’t short mannn.. berhujan panas, gembira sedih, bersama 1001 peristiwa pahit manis..
Abah cerita, time diorang kahwin dulu, musim tengkujuh. macam sekarang la. banjir sana sini. kalu kat states ni snow lah kan. tapi pada tanggal 11 december tuh, panas terik. 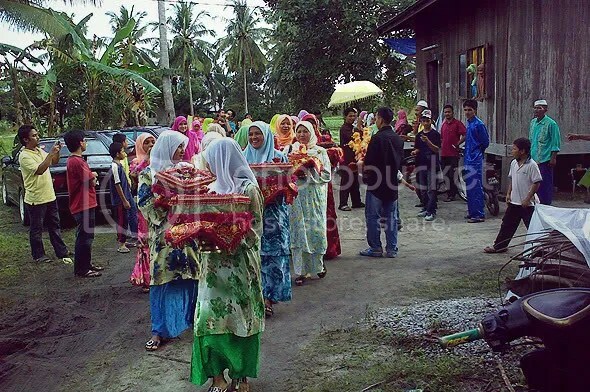 jambatan yg org kg buat utk rombongan pengantin lelaki pergi ke rumah maa sia2 je. kering kontang dah air semua. Alhamdullillah. Tanggal 11 Dec 1980 abah bergelar suami kepada Siti Zainab Bakar, menantu kpd Tok Ayah Kar. If I’m not mistaken, they met in Sabah. Abah was working as an army while maa was a teacher back in that time. 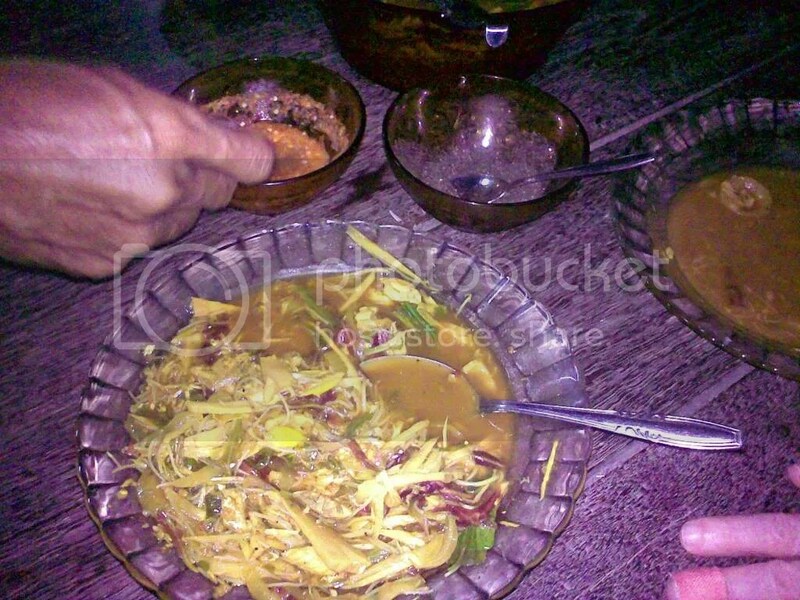 Asam di darat, ikan di laut akhirnya dalam periuk jugak jumpanya kan? “Banyak lagi ke Nor?” “Banyak” tersengih2 saya cam kerang busuk. haha. Abah sabar menunggu and usually end up sleeping on the floor. Saya pon kadang2 kat situ jugak tersyahid sama2. I’m loving it when Maa called Abah and the first word will always be, “saya ni.” Abah and I will laugh as daaa, obviously tuh maa. haha. I’m loving it when it is Friday and the lunch will be super delicious. Maa boley masak in 5 minutes and even it is telur dadar or sardin, it will be like beyond imagination tasty. Adoi nak makan! I’m loving it when hearing Abah recites Quran everyday. I remembered there’s a period of time when Abah and Ma is soo in love with this Imam’s recitation(a set of cassettes from Makkah) and they will keep on playing it the whole night. I thanked Abah and Ma for that because sometimes I cant sleep without hearing Quran recitation. I’m loving it when Abah will patiently waiting for me every single day wearing my shoes. 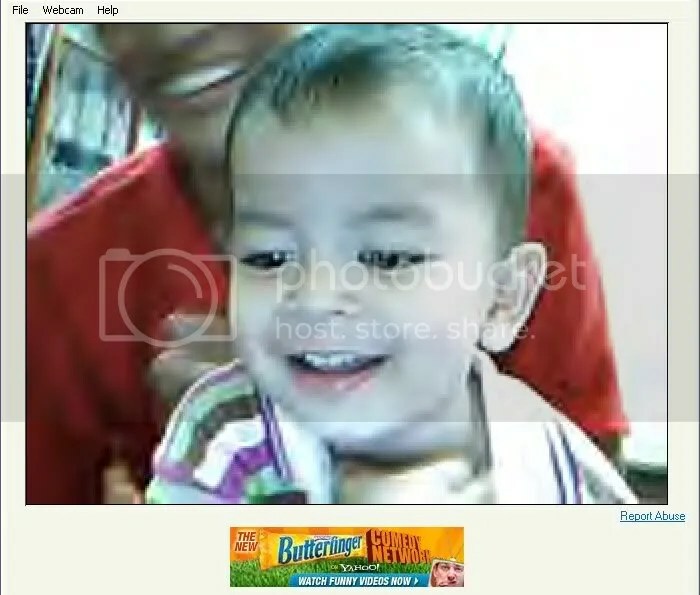 That time I was studying in Maahad Muhammadi and Abah will sent Ajik and me every morning. It is so early that I will 99% of the time slept. Bila da smpai sekolah barulah menggelabah pakai stokin and kasut. and I cant remember abah complaint even once. Not even once ppl! I’m loving it when I asked maa to drive faster. Haha nampak je slow. Married to a soldier make maa so independent that she is capable to do everything she needs to. Tabik spring to Maa for that. I’m loving it when Maa can’t resist the temptation to buy something that I will simply laugh at her. I’m loving it that Maa had influence me so much that I simply like to buy books. AbePaih is the same right? Ajik also has the same habit. I remembered that I promised Maa that I will get a certain grade and she will buy me Harry Potter series as a gift. I’m loving it I’m loving it! I loves every single thing Abah and Maa did! Ya Allah… rindu rindu rindu! Yes yes we are so extremely lucky to have a hot guy named Mohd Lazim and a lovely lady named Siti Zainab as our parents. Seriously there’s nothing I will be capable of doing utk membalas even sekelumit kasih sayang abah and maa bagi. Full house. Bile lagi nak macam ni? 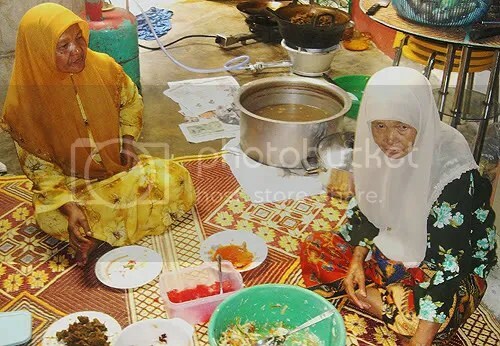 Nor AbeApih AbeJe AbePaih Ajik mintak maaf dari Maa dan Abah utk setiap titis air mata, yang pernah turun ke bumi atas sebab membesarkan kami dari dalam perut maa lagi sampailah saat ini. dari kami yg sebesar tapak tangan hinggalah kami sekarang. Hanya Allah yang dapat membalas jasa Abah dan Maa. Tiada siapa di hati kami yang lebih layak dianugerahkan Jannatul Firdaus selain Maa dan Abah. Allah knows Allah knows. 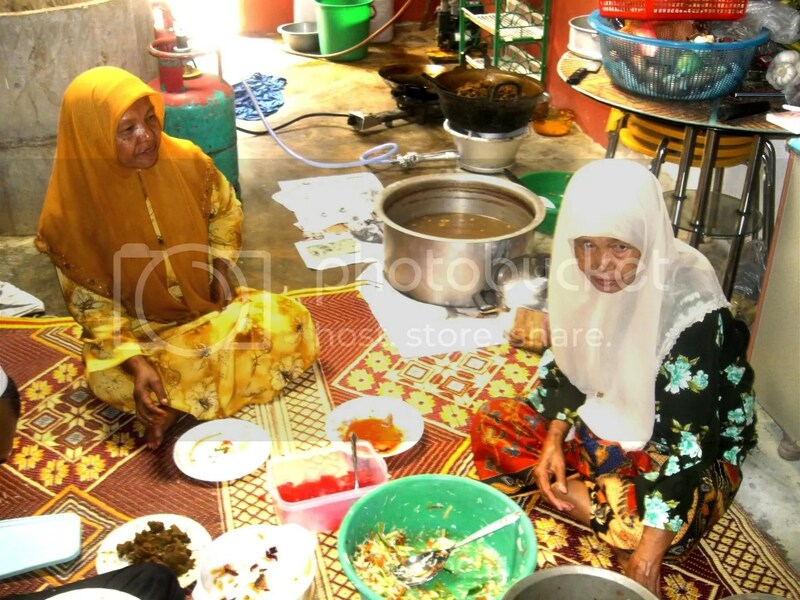 Abah dan Maa… you are the best! Semoga jodoh ini kekal abadi! Why I miss my home. I miss my family. I miss Dusun Durian. I miss my relatives. I miss everything. I even miss the green grass behind my house. Hail Ariff already start crawling. Don’t get me started with Hail Afiq. To make things worse, I even did not remember some of my relatives name. Man, I must start cracking the book if I want to go back as soon as possible. It will not end no other way. Like it or not. It will not end no other way. 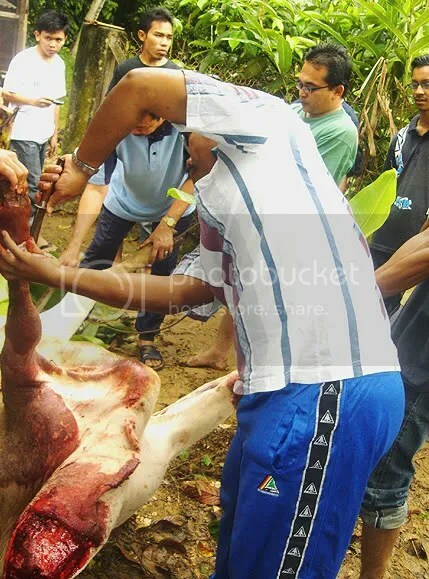 Don’t ask me what was really happened in Dusun Durian today. I was not there. The best things they can gave me are the pictures. I think it was as happening as always. But this year was even better. The Hails are there. So you can imagine how happy Hj. Lazim and Hjh. Zainab is. Maybe Che Sue explains better with her version because she was there. Maybe some of you can share with us the unknown story in the comment’s column. 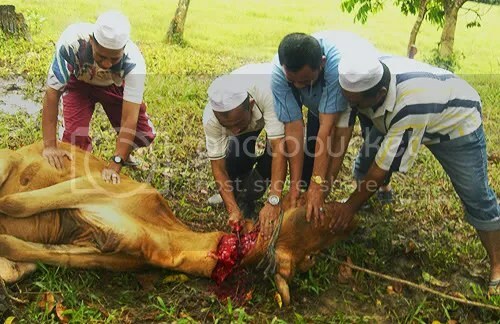 Like the story how Hail Afiq reacted after saw the cows get slaughtered by his “Tok Bah”. 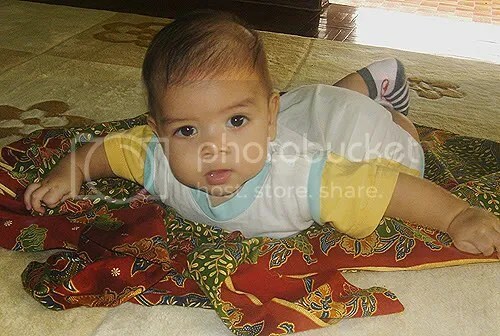 Or the story how Hail Afiq imitated his great grandfather, “Cik”. Pleaseeeee!!!!!!! Haji Lazim "the cut throat"
The Hails sleep after one wonderful day. Find/Name missing food in the picture..